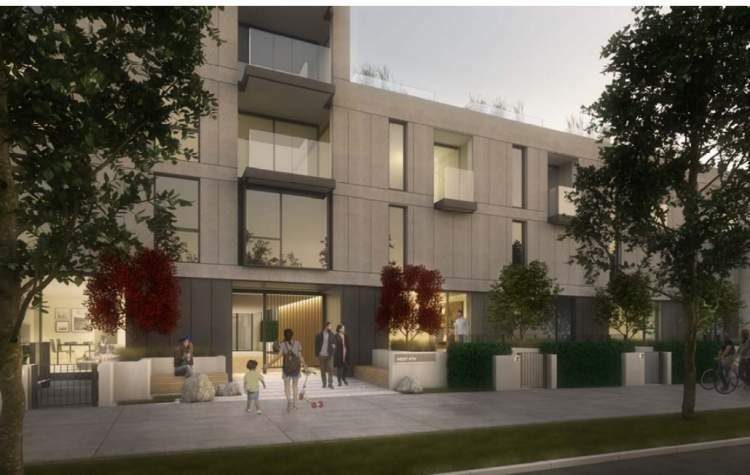 Anthem Properties has proposed to redevelop the four commercial buildings from 1520-1558 West 6th Avenue in Vancouver’s Burrard Slopes neighbourhood. 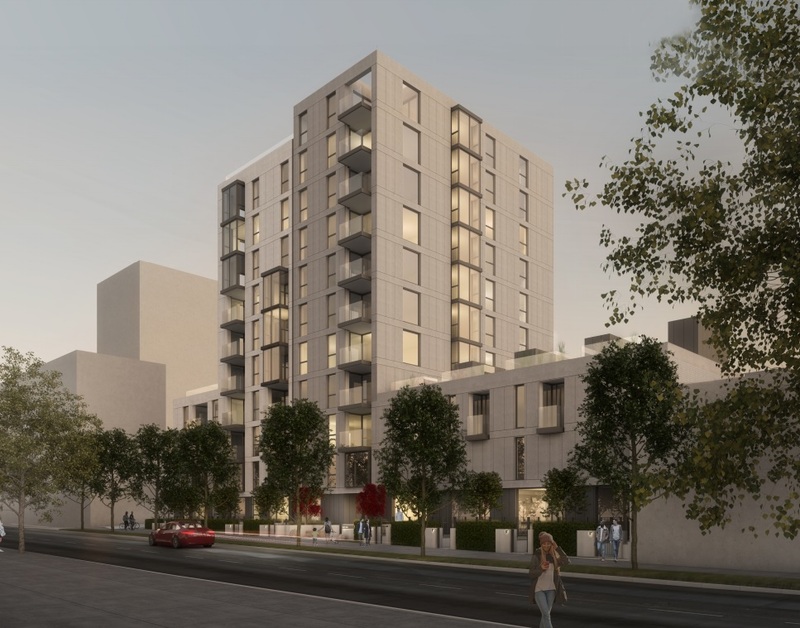 The Office of Macfarlane Biggar has created a design for an 11-storey residential building with a 4-storey podium and attached dual-aspect, 3-storey townhomes over two levels of underground parking. This South Granville development has an enviable central location that is convenient for residents to walk to the restaurants, services, and shops surrounding Broadway & Granville; stroll to Granville Island; or use the Arbutus Greenway, False Creek Seawall, Vanier Park, and Kits Beach for physical fitness. Multiple bus routes are just steps away for car-free commuting. This project is in its development application stage. Details may change. Sign up to our VIP list above for priority access to West 6th updates. Don’t miss out on this opportunity to own in an enviable central location. Contact me today to discuss availability and plans according to your needs. There will be 516 sq ft of shared amenity space on the ground floor and 2,024 sq ft on the second floor. All townhomes include a terrace with hedges, planter, and trees. Residences on levels 3, 4, and 11 have their own private rooftop gardens. A central courtyard will have both a large area of soft landscaping and a green landscape feature on the west-facing wall. A two-level underground parkade will provide stalls for 78 vehicles, including two accessible spaces, and storage for 63 bicycles. Six bikes can also be secured on short-term racks at grade at the east corner of the site. Are you interested in learning more about other homes in Kitsilano, False Creek, or Fairview?